I swear that's a Revlon doll. I had one for years - Mom made all of her clothes, and she looked darn good when she headed off for shopping or a party. It was strange. The older Mom got, the more insistent she was that I had to keep all of my dolls. She didn't play with them, but she had a big teddy bear that stayed on a chair in her bedroom. Some bittersweet memories with this one. 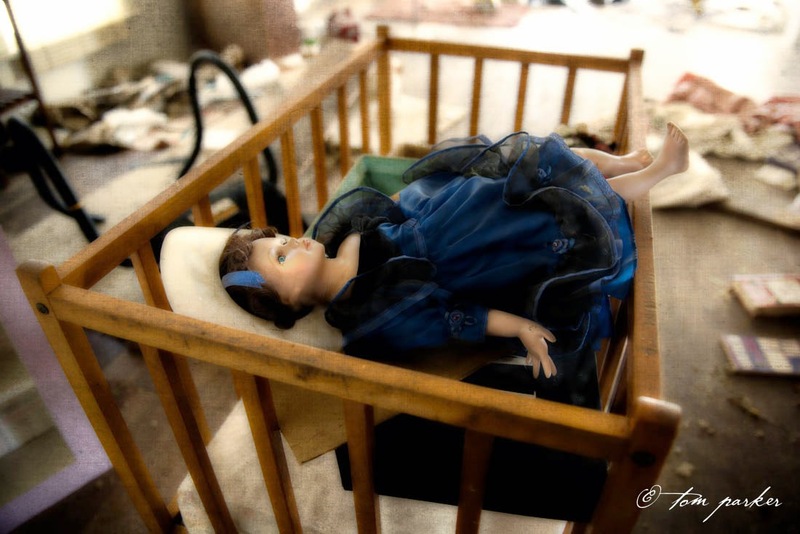 What was odd about the place was that so much of it was covered with mold and dust and plaster that had fallen from the ceiling, but the doll looked relatively clean, as if it had been had just lain down for a nap. It was kind of creepy and kind of mysterious and I wasn't sad to leave it behind. So do you still have your dolls? Had to laugh at the building blocks. They might be useful someday to build a new life, but the dolls? Fluff.